The thyroid is a butterfly-shaped gland that sits low in your neck, draped across the windpipe and just under the larynx (voice box, Adam’s apple). It makes thyroid hormone, which circulates with your blood and controls your body’s metabolism, including weight, heart rate, temperature, and mental alertness. There are 4 parathyroid glands, 2 on each side. They are very small, about the size of a grain of rice. They produce parathyroid hormone which controls your calcium levels. Thyroid and parathyroid disease is more common in females than males. The thyroid gland can be underactive (hypothyroid) or overactive (hyperthyroid or thyrotoxic). Thyroid activity can be measured by a simple blood test. The thyroid gland tends to form lumps or nodules. Mostly these are non-cancerous. Nodules are generally investigated with ultrasound and may require needle biopsy to detect cancer. An enlarged thyroid is called a goitre. Most goitres still function properly, but some may be under- or overactive. Hyperparathyroidism causes high calcium levels. This is generally caused by a benign tumour in one of the parathyroid glands. Occasionally more than one gland may be involved. Thyroid surgery generally consists of removal of half (hemi-thyroidectomy) or all (total thyroidectomy) of the thyroid. To diagnose whether a lump/nodule is thyroid cancer when needle biopsy is suspicious or indeterminate for thyroid cancer. 10-20% of these prove to be cancer. 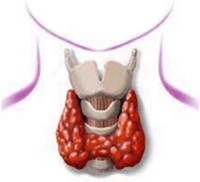 These patients generally require a second operation to remove the remaining thyroid. For pressure symptoms like discomfort in the neck or a choking sensation, difficulty swallowing, difficulty breathing or coughing. Patient concerns about the cosmesis of a large goitre or concerns about further growth and ongoing monitoring of the goitre. As one of several options to treat an overactive thyroid. Parathyroid surgery (parathyroidectomy) involves removal of the abnormal gland(s). This can often be performed with keyhole surgery. Most patients with hyperparathyroidism (high calcium levels) will require parathyroidectomy. Symptoms can include: lethargy, clouded thinking, poor memory, muscle aches and pains, going to the toilet frequently, thirst, abdominal pains, constipation, depression, psychiatric disturbance, heart disease, high blood pressure and more. Osteoporosis or weakening of the bones. What are the risks of thyroid and parathyroid surgery? You will require general anaesthetic, given by a specialist anaesthetist. Risks of serious complications in a healthy person are very rare. Potential risks include: Heart problems (death, heart attack, arrhythmias); Lung problems (pneumonia, wheezing); Blood clots (stroke, clots in leg veins or lungs); Drug reactions; Other unforeseen risks. Fasting before surgery (Your surgery may be cancelled if you do not follow these instructions). For morning surgery, Do Not Eat or Drink anything after midnight the night before surgery. For afternoon surgery, Do Not Eat or Drink anything after 7:00AM. You can have a light breakfast prior to that. You SHOULD take your regular medications with a small sip of water on the day of surgery. Please notify Mr Grodski if you are taking any blood thinning medication (Aspirin, Warfarin, Plavix, Iscover). These will generally be stopped 1 week prior to surgery. Some herbal medications increase the risk of bleeding. These should also be ceased before surgery (Ginseng, Garlic, Gingko, St. John’s Wort). Do not bring valuables such as money, jewellery etc. (You will be required to remove contact lenses, jewellery, dentures, and wigs prior to surgery). Do not wear make-up or nail polish. Bring toiletries and loose fitting, comfortable clothing to wear upon discharge. Arrange for a responsible adult to drive you home after discharge. Notify us if there is a change in your condition prior to surgery (such as a cold, cough, fever or infection). If severe, your surgery may need to be postponed for your safety. On the day of your surgery, report to reception or admissions at the hospital at the specified time. Please bring all scans and x-rays with you to hospital. You will be checked in by the nursing staff and prepared for surgery before being taken to the operating theatre. If you have not already done so, you will meet your anaesthetist. After the operation, you will spend some time in the recovery room before going to the ward. On return to the ward you will be monitored closely by the nursing staff. You are welcome to have visitors (they should check with the nursing staff first). The nursing staff will provide pain killing medicine and anti-nausea medicine as needed. I encourage you to get up and walk around as soon as you feel up to it.